$269 Sports Combo. This sports inflatable will get your sports fan jumping, sliding and having a ball. 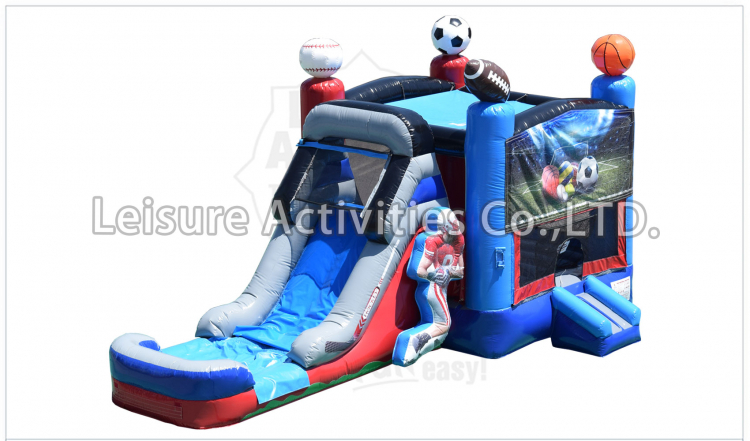 This 4 in 1 combo has a basketball net inside as well as climbing, jumping and sliding activities.